I thought I would start some wedding-y stuff on the blog seeing as it's less than a year until I get married - eek! As this is a fashion and beauty blog, it seemed fitting to start with some bridal beauty tips. For this post I've teamed up with Lets Get Weddy, a wedding oracle full of interesting and fun wedding-y stuff. If you're a bride/bridesmaid to be, definitely check it out! "There is no such thing as a woman who doesn’t care about her makeup at all. There are women whose skin looks so bright and perfect that it needs very little maintenance. There are also women whose make-up looks so natural that it seems like it’s not even there! However, even the natural look takes a little bit of time and practice. It was famously reported that the Duchess of Cambridge, Kate Middleton, did her own make-up at her wedding to Prince William, following the tips of her skin specialist Deborah Mitchell. 1. A bride should always start trying facials at least 3 months before the wedding, in case she has any allergies. One should never try a new facial a week before the wedding, as you never know how your body might react to it. Kate Middleton used a mask in order to cleanse and tighten her skin, acting like a natural face-lift. 2. The second important thing to consider is lipstick. How can you make sure that it will last all day? According to Deborah, you should pop on one coat and place a tissue over the lips, pressing down gently. Following this, apply some translucent powder and your lipstick will remain fresh-looking. 3. Drinking champagne can cause eye redness, so ensure you have a counter-acting product such as eye drops are a great addition to your bridesmaid's clutch! 4. A lot of brides opt for a golden glow on their wedding day. To avoid any patchy, orange disasters try your selected brand a couple of weeks before to ensure the ingredients contained in the tan suit your skin. Apply two to three days before the big day to ensure you get the perfect colour. 5. Whatever kind of make up you choose for your wedding day, keep in mind it doesn't have to be too evident or too plain - try and find a balance and be the bride you always thought you'd be on the most important day of your life. If you want to learn more about the beauty trends of 2015, check out this article! For more inspirational content, visit LetsGetWeddy, the daily wedding blog for anyone who is getting married. Wow This is great, thanks for the tips and sharing! p.s. we love the name of your blog! 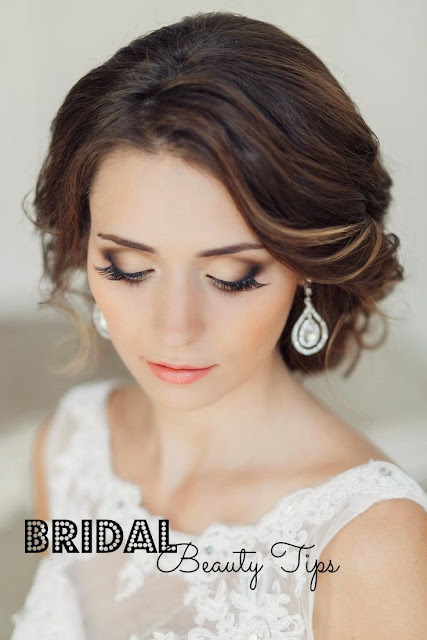 Wonderful tips for bridal makeup!! You know my sister is going to tie knot at one of the best event locations in Hong Kong. She has hired a popular makeup artist. I am very excited for her wedding.